A lot of shampoos dry my hair, cause dandruff, or weaken my hair. I have tried so many shampoos in hope to fine one that will strengthen and help with damage. Dove Thickening Ritual Shampoo and Conditioner have done greatness to my hair. After just one use my hair was so soft and felt so healthy. I personally feel like all hair types can use this shampoo. If you want fullness, volume, and overall achieve a healthy look you will love it. The lavender oil and rosemary smell amazing and give your hair the nourishment it needs. Healthy hair starts in the shower. 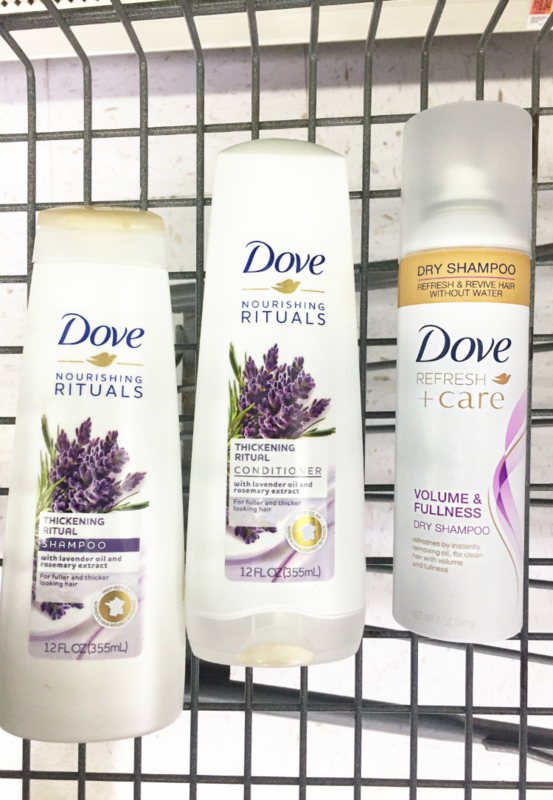 Find a good shampoo and conditioner like Dove Thickening Ritual. -Always untangle hair before you shower. 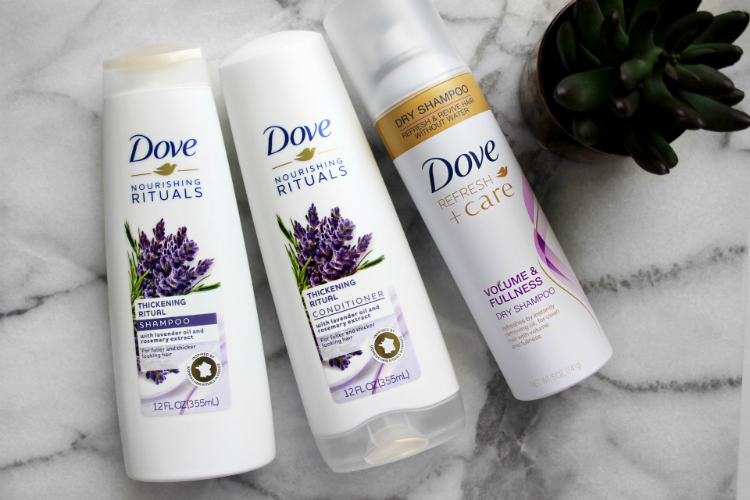 -I apply Dove Thickening Ritual Shampoo and wash my hair thoroughly twice. Keep in mind I have not washed it in a few days, and I need to get the dry shampoo, hairspray and whatever other products I have off my hair. 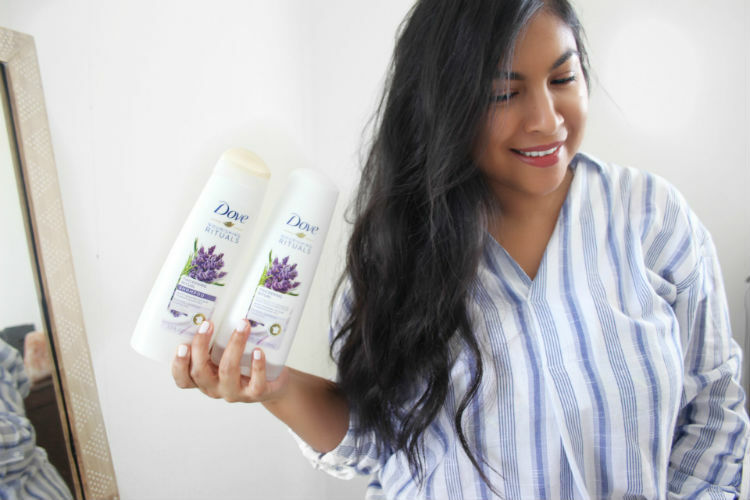 Dove Thickening Ritual Shampoo gets the job done leaving your hair smelling and feeling amazing! -Next up is Dove Thickening Ritual Conditioner. When it comes to conditioner I only use a small amount and only apply to areas my hair truly needs it. So I mainly use conditioner for my ends. Personally I wash my hair once or twice a week. I opt for dry shampoo. 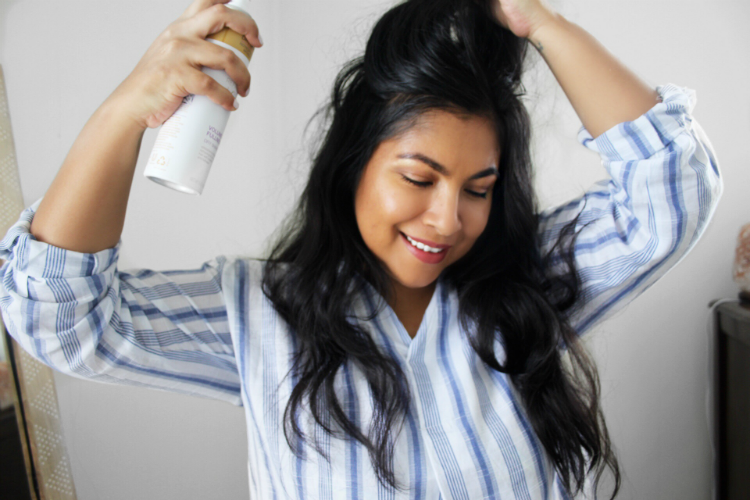 Always running off coffee and dry shampoo, right? My mama friends can relate! 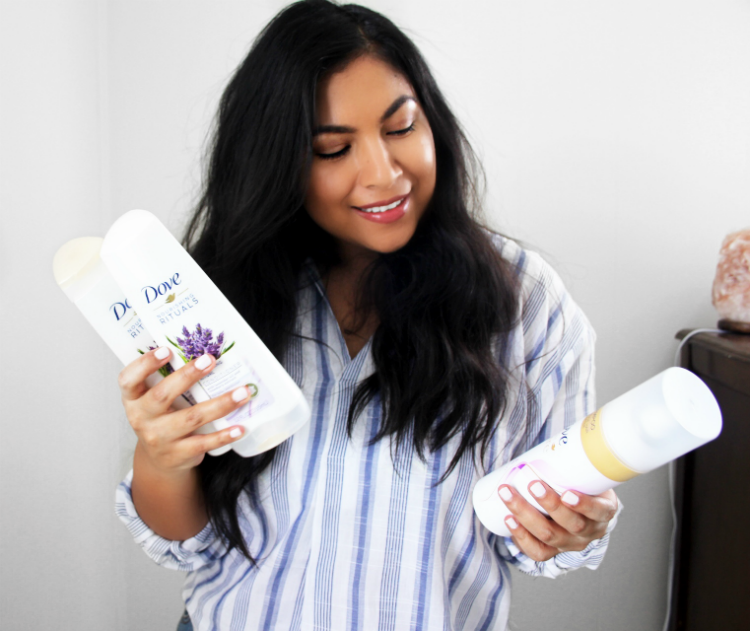 Dove Volume and Fullness Dry Shampoo is hands down one of the best dry shampoos I have tried. 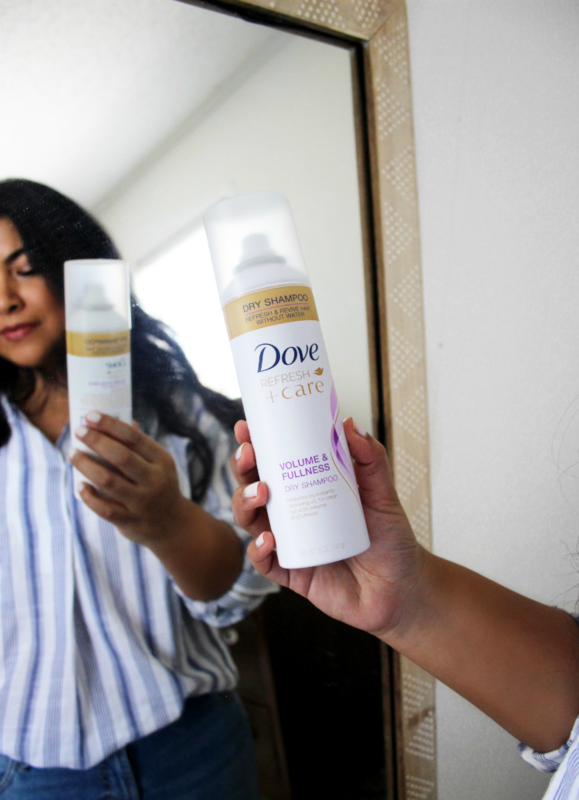 You get clean and voluminous hair all in one. Personally I feel like my hair looks best on the second and third day thanks to dry shampoo. The damaged look just isn't cute. You want your hair to be happy and healthy. Sometimes that requires snipping off the ends. Your hair will grow back stronger and healthier. 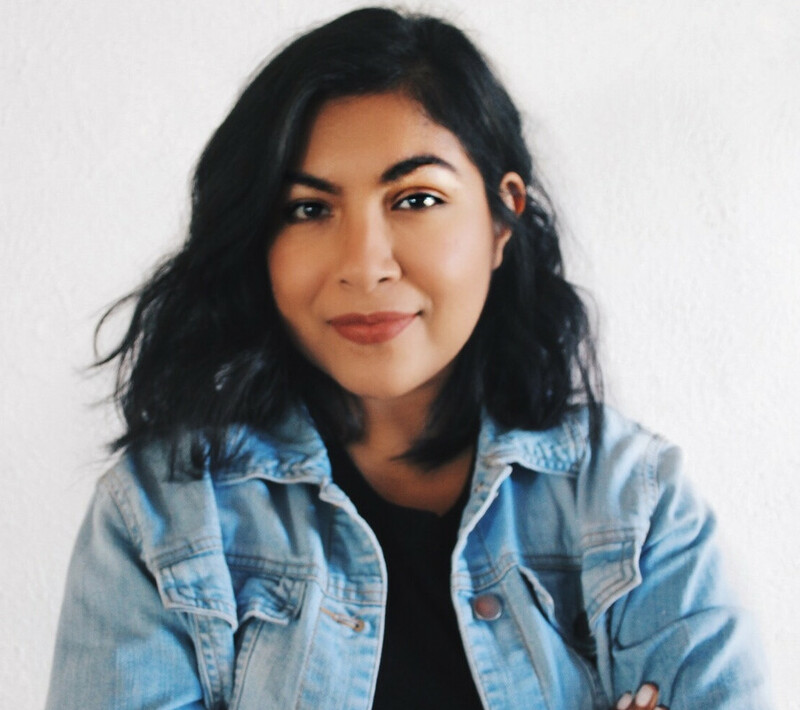 Find products that work for your hair. Use products that your hair will benefit from. Make sure to protect you hair from heat and UV rays. Use a satin or silk pillow. Incorporate creams, oils, masks to help take care of your hair. 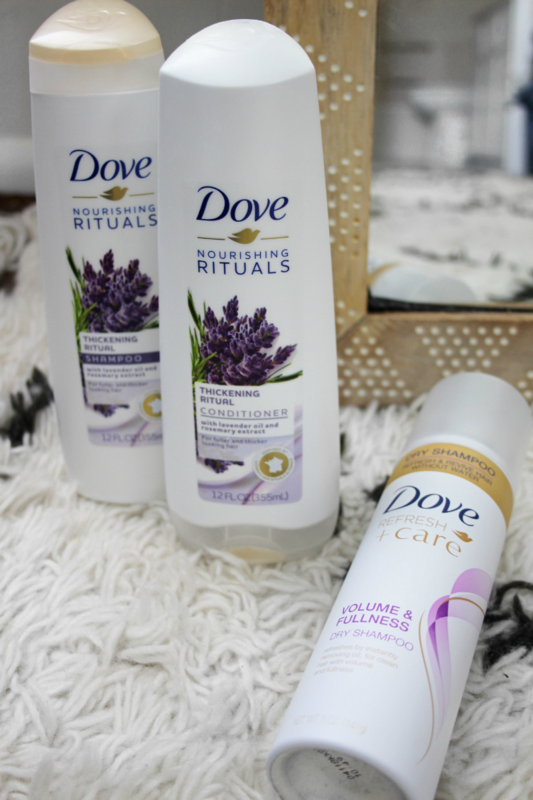 Dove has so many great products at such an affordable price. Love your hair and take care of it! 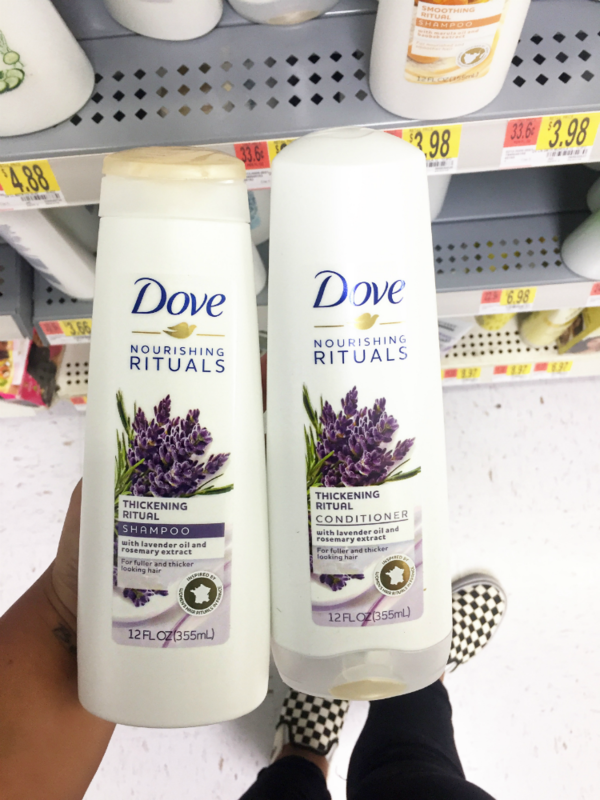 You can find Dove Thickeing Ritual Shampoo and Conditioner at your local Walmart!